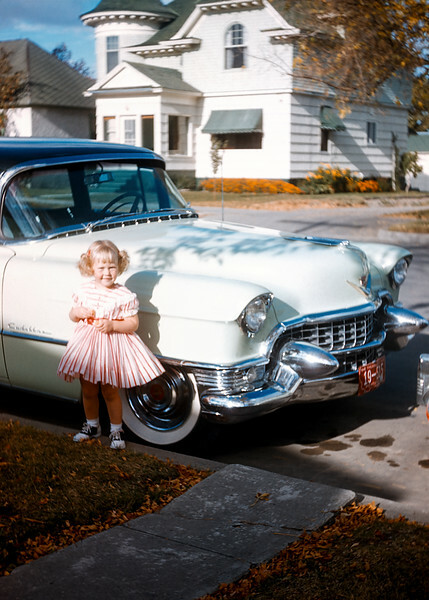 A young girl, probably Judy, beside a white chrome-mobile. Hazel enjoyed putting cars in her pictures. The cars of her day were more photogenic than the, they all look alike, aerodynamic bubbles on the road today.